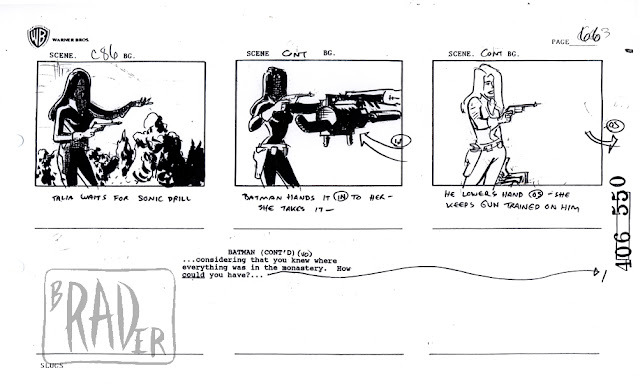 Nice touches abound in this remaining section of storyboard. 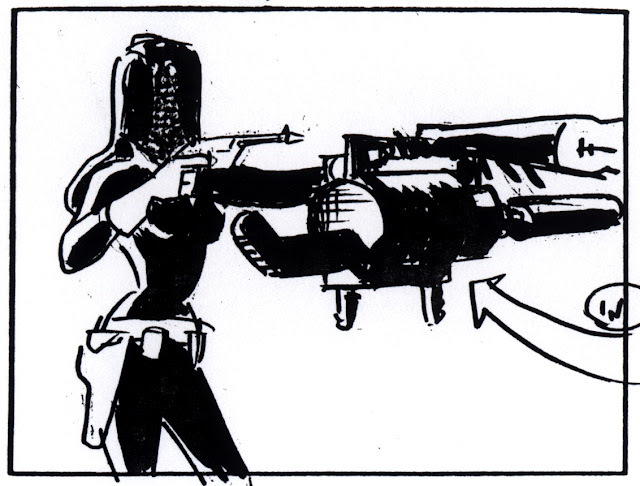 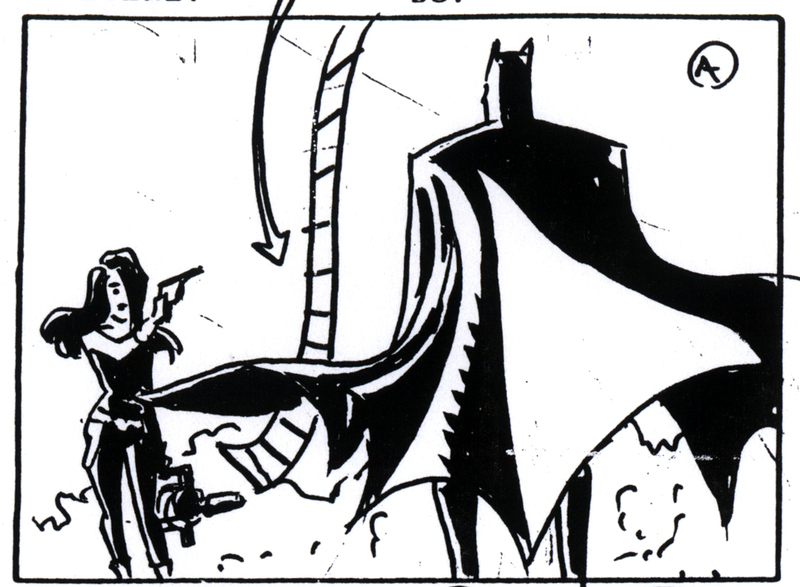 I like, in scene C86, where Talia has to shift her weight when taking the sonic drill from Batman. 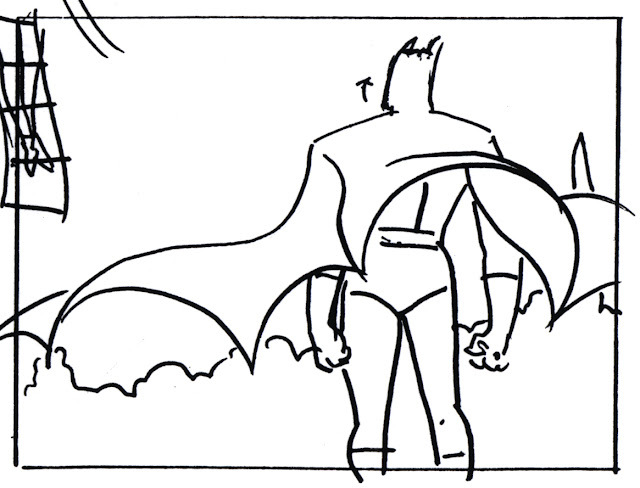 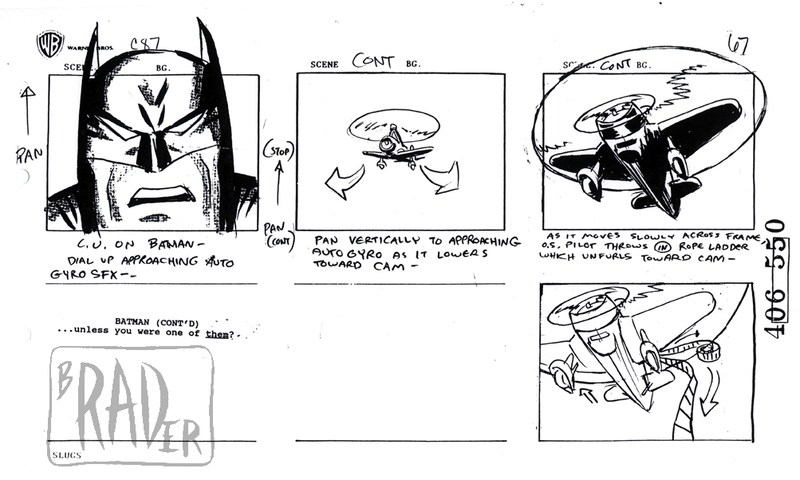 I like the cape animation on Batman in scene C88/ C90. 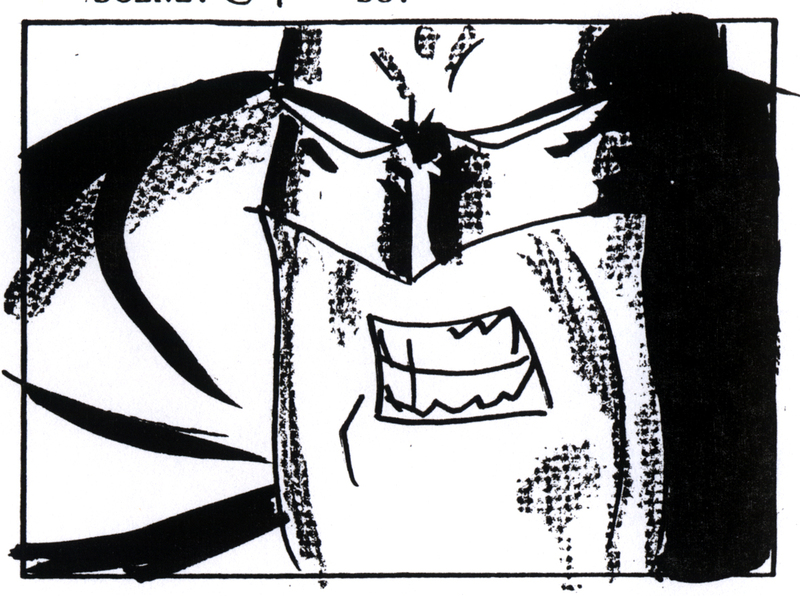 The pissed-off close-ups on Batman in scenes C87 and C92 are fun but probably off model, especially the gritted teeth and showing-gums on C92. 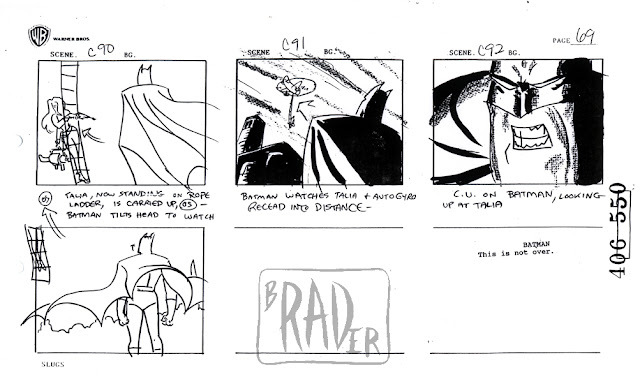 If I had the patience, I’d watch the cartoon again to see how it was changed in layout. 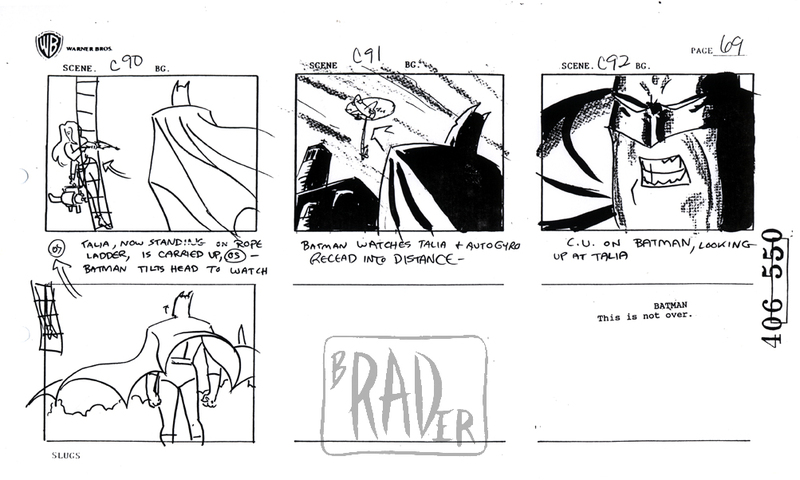 I believe this is one of the final boards I did before going on hiatus to draw “The Batman Adventures” issues 4, 5 and 6. 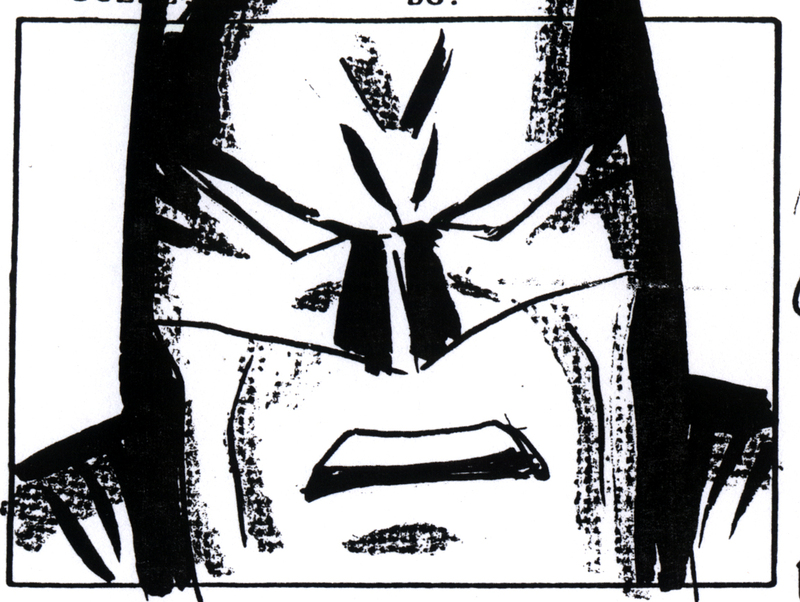 This is the final in a series of posts about my storyboard for the Batman: The Animated Series, episode 406 550, entitled “Off Balance”. 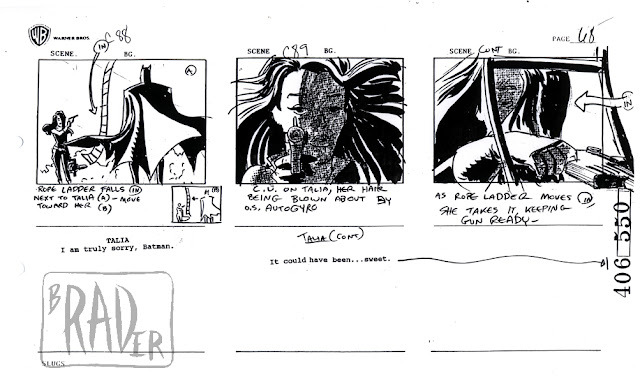 I did this storyboard, I believe, in 1992, and it was aired on November 23, 1992 as the 44th episode. 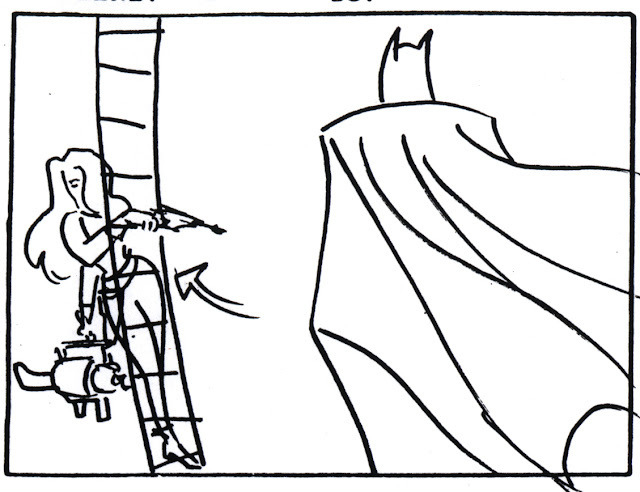 I boarded much of Act 1, part of Act 2 and most of Act 3. 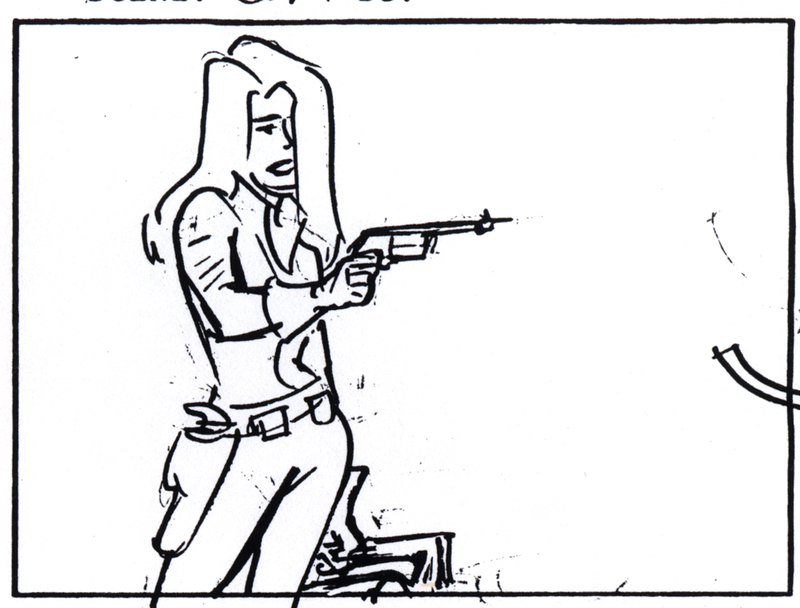 Today I am posting pages 66 through 69 of “Off Balance”, Act 3.